I admit it: I never liked hawker center food as a kid. I turned my nose up at hawker food staples such as Hainanese Chicken Rice & Char Kway Teow. Until I moved overseas. Suddenly, the grass (or rice) on the other side seemed greener. So nowadays when I return, I ensure that these are on my To Eat list. When my friends come to Singapore from Australia & other parts of the world, most of them know well enough to try 'Chicken Rice'. However, most of them don't get it either. "It's only chicken and rice... what's the big deal?" Or at least that's what I normally get asked! In this case, Aristotle has it spot on when he says "the whole is greater than the sum of its parts". 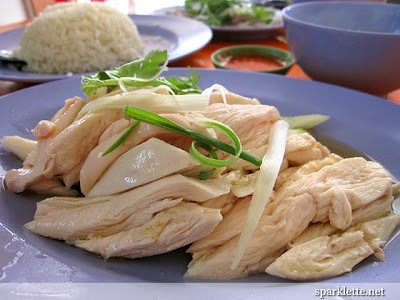 Chicken Rice is not a uniquely Singaporean dish; it is easily found in Malaysia as well (although some establishments serve it as Chicken Rice Balls where the rice surrounds the chicken sushi style). 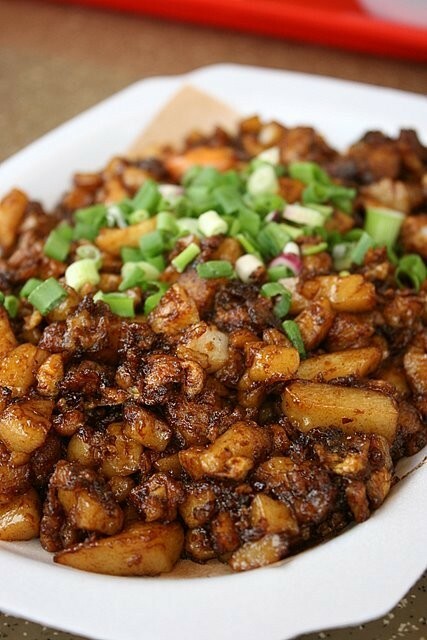 Fried carrot cake is more commonly known as Chai Tow Kway in Singapore. It consists of steamed radish cake that is then stir fried with eggs, garlic, soy sauce & cured radish. Two common versions exist: The White and the Black. Black Fried Carrot Cake uses sweet soy sauce and the egg is mixed in together with the carrot cake; this produces a sweeter taste and a more consistent texture throughout the dish. The White version is not fried with sweet soy sauce, and the egg is fried in such a way so that it 'wraps' the radish cake pieces. This dish is popular for breakfast & supper i.e. 'light' meals. AKA 'Kaya Toast'. Some might dispute this - if you google 'Traditional Singaporean Breakfast', images of Nasi Lemak and Mee Siam are also possible contenders. 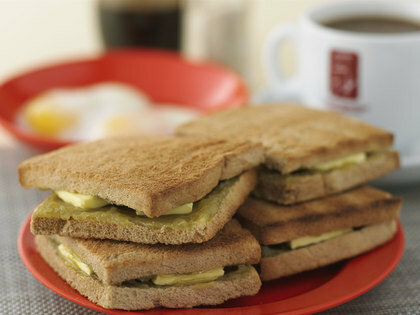 However, Kaya Toast almost always features on my To Eat List. I could have it for breakfast, tea time, supper... whatever! Kaya is a coconut jam made of eggs, sugar, coconut milk, flavored by pandan leaf and sweetened with sugar. This delicacy is served on toast with cold butter squares sandwiched between the two toast pieces, resulting in a sweet milky taste upon first bite followed by the crispiness of the toast with a slight savory aftertaste of butter. 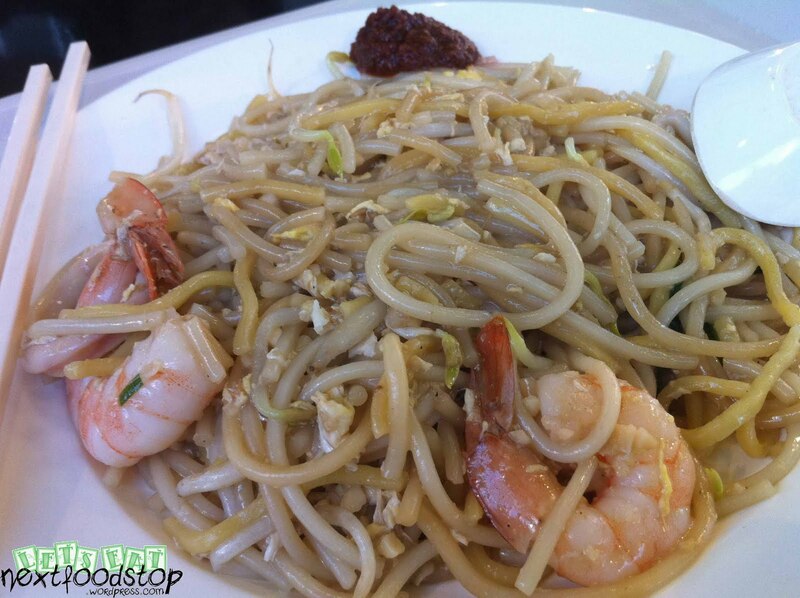 When I started developing 'Hawker Food Cravings' in Australia, I was delighted to see 'Hokkien Mee' on the menu of an Asian restaurant in Perth. So I ordered it, mouth salivating at the thoughts of egg and rice noodle stir fried together with prawns. 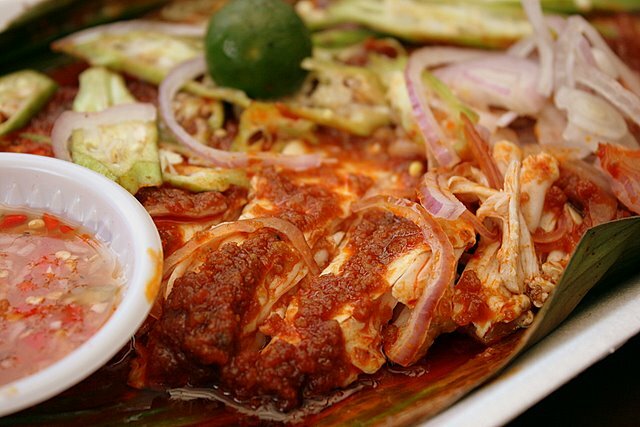 Already, I was dreaming of the spiciness of the sambal mixed with the lime juice. 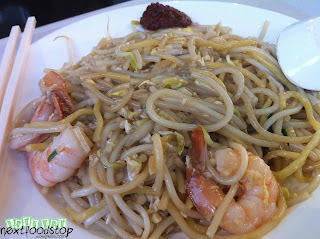 Instead, I was served with the KL version of Hokkien Mee, which consists of egg noodles stir fried with dark soy sauce. The only other time I was served with egg and rice noodles when I ordered Hokkien Mee, they came in soup - Hokkien Mee Penang style. Bak Chor Mee is also known as Minced Meat Noodle. It consists of springy flat yellow noodles that are lightly tossed in a mixture of chilli, oil/ lard, soy sauce and vinegar. Minced pork & mushrooms, meat balls & beansprouts often accompany this dish with lettuce added as a garnishing. While a common variant (Mee Pok, made with fishballs and sliced fishcakes) is also served in Malaysia, my malaysian friends still have not heard of Bak Chor Mee being served in their home towns. Most people normally eat their Bak Chor Mee 'dry' rather than in soup to fully appreciate the sauce that the noodles are tossed in. 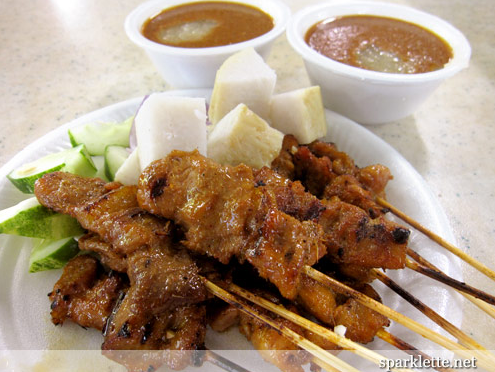 Satay is a delicacy that is familiar to most people. Variants of this appetizer exist in almost all parts of the globe; the Singaporean Style Satay has small chunks of meat that is grilled over a charcoal fire. They are then served with peanut sauce, cucumber chunks and onion as well as sticky rice. The meat is normally chicken, beef or mutton. Satay Recommendations: Lau Pa Sat (positives: cleaner choice & it's a historical landmark to boot), Newton Food Centre, East Coast Lagoon Food Village (personally, I'd choose East Coast Lagoon because they have awesome BBQ Stingray here too & you can take a walk by the beach to burn off some calories after). Will You Excuse Me, I'm Drooling Just Looking At This? I just L-O-V-E BBQ Stingray. Even though the sambal chilli is so spicy, I tend to end up in tears after a few bites. Some things are just worth your tears, and this is one of them. I think a late night trip to East Coast Lagoon Food Village is on the books now! Laksa in Singapore is not normally served with egg noodles (*shudder*), overcooked chicken pieces (god forbid) or bland soup that calls itself curry. 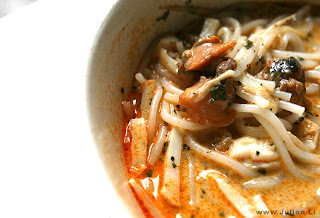 Good Singaporean Laksa is made up of unique laksa style noodles that are cut up into shorter pieces and prepared nyonya style, with a rich coconut gravy and sambal chilli added to taste. 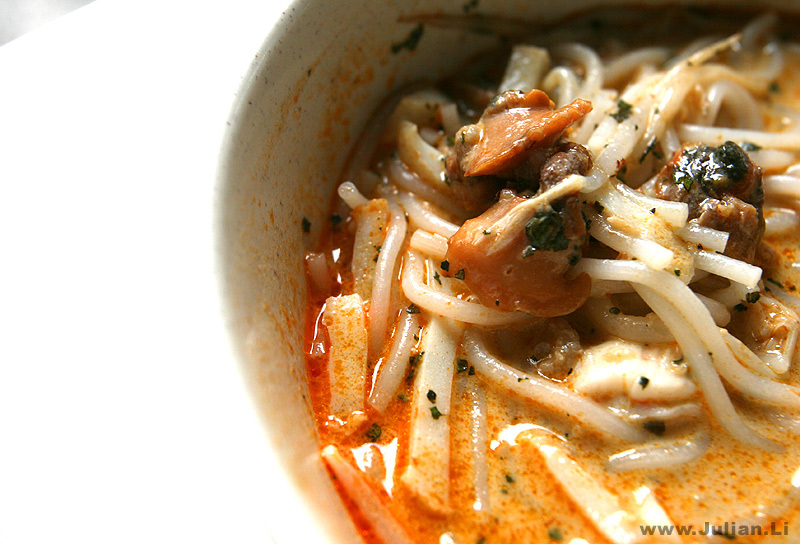 Cockles, strips of fishcake and beansprouts are often added to this dish as well. The Origins of Chilli Crab is hotly (har har) disputed, with some claiming that it originated from Singapore whereas others state that Malaysia was responsible for the creation of Chilli Crab. The beauty of this dish lies in the gravy that is savory AND sweet and well... not very chilli-ish at all. 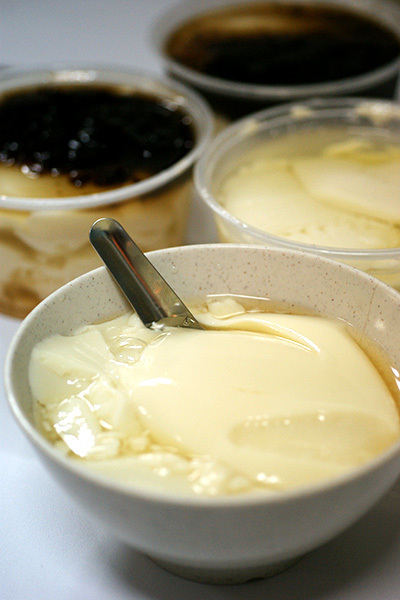 Eggs are added at the end of the cooking process to create an egg sauce type texture and Mantou (fried bread) is normally served with this dish to dip into the gravy. Another popular variant of cooking crabs in Singapore is the Black Pepper Crab, which is not served with soup style gravy. 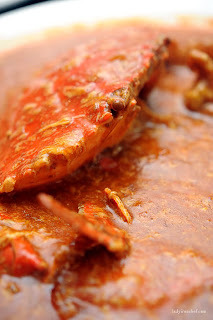 Instead, the crab is coated with a fragrant pepper sauce and is drier in nature compared to the Traditional Chilli Crab. The recommended places have a few branches around the island however I only mentioned those with high ratings. When it comes to Tau Huey I'm really particular. I normally don't like Tau Huey from most places other than the famous Rocher Beancurd outlet in Geylang. The beancurd here is silky smooth throughout and their fried bread offerings (you tiao) & Portuguese egg tarts are to die for as well. This is normally eaten for supper or as a snack. Recommendations for Tau Huey: Rocher Beancurd (Geylang) !!!! P.S. Another Uniquely Singaporean dish that should have featured here is Lor Mee. Unfortunately, I have never quite acquired the taste for it.